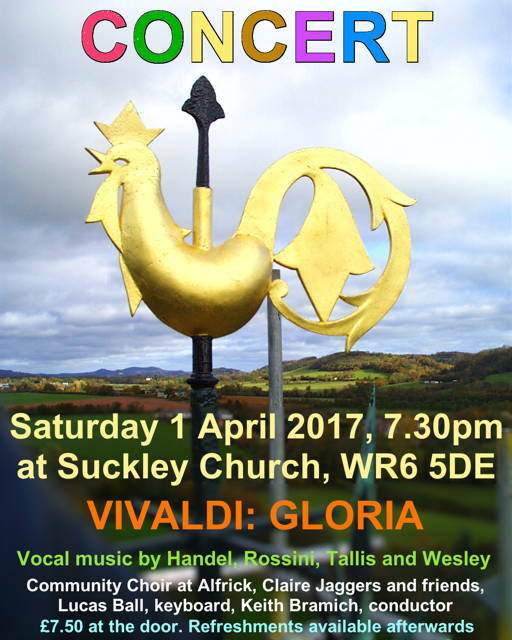 On Saturday 1st April 2017 in Suckley Church, The Community Choir was joined by soprano Claire Jaggers, who put together and sang a successful sequence of solos, duets and quartets by Tallis, Handel, Wesley and Rossini to begin the concert. Claire was joined by choir members Lou Randall, Jeremy Morfey and Keith Bramich. Claire Jaggers is Chairman and co-founder of the Platinum Choral Foundation. Originating at the University of Cambridge in 2005, the Platinum Consort boasts some of the UK's best professional choral singers. 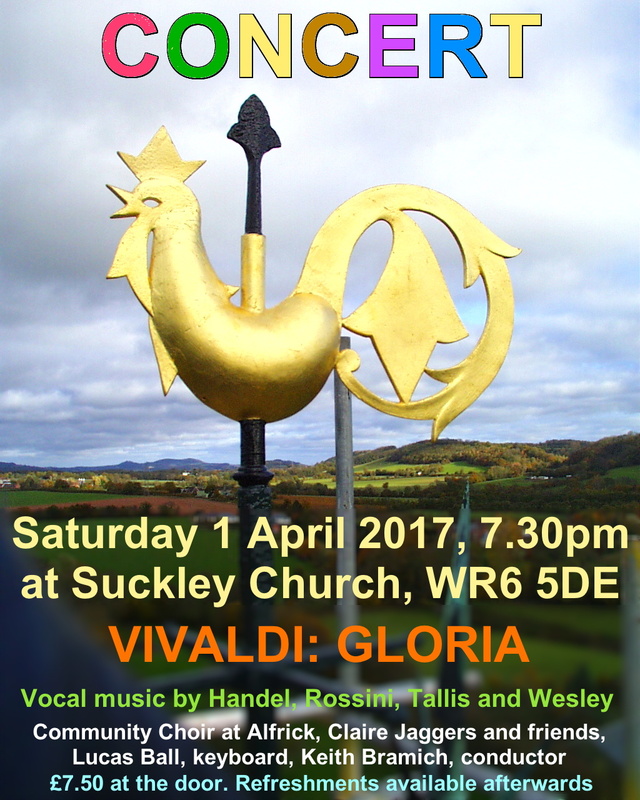 The concert continued with the Community Choir's performance of Vivaldi's Gloria, with our new accompanist Lucas Ball playing harpsichord. Solos in the Gloria were taken by Claire Jaggers, Kate Brewin and Lou Randall. The evening ended, as usual, with food and drink, with food provided by choir members and wine organised and provided by Geoffrey Brewin. Site design and content copyright © 2016-2017 Community Choir at Alfrick, all rights reserved.